Our skin matters, especially on our face. Good-looking skin boosts our self-confidence so we can always seize the day. But with the dirt and pollution in the environment, stress and unhealthy lifestyle, having healthy skin is a struggle nowadays. One of the most common skin problems that we face today is acne. Acne is not dangerous but it can leave ugly scars. I experienced severe acne during my puberty, fortunately I didn't get any scar from it. As I grow older, I thought I will not have the same problem anymore, but due to hormonal and environmental reasons, and maybe due to a lot of beauty products like make-up, that I regularly apply on my face; here they are again, and they evolve especially whenever I lack sleep. Afraid that it might get serious, I tried a lot of beauty products that promise to eradicate acne, of course aside from having the right nutrition. Some has irritating smell, some has no effect, some made my acne even worse, some are effective but needs too much applications before you feel it works for you. Then came Acneser Spot Gel which I happen to see while browsing for acne treatments online. This product is a clear, quick-absorbing, natural gel for the rapid relief of inflammation, to reduce bacterial accumulation, to remove black spots and acne scars. It is unscented, surely made with very little amount of chemicals. 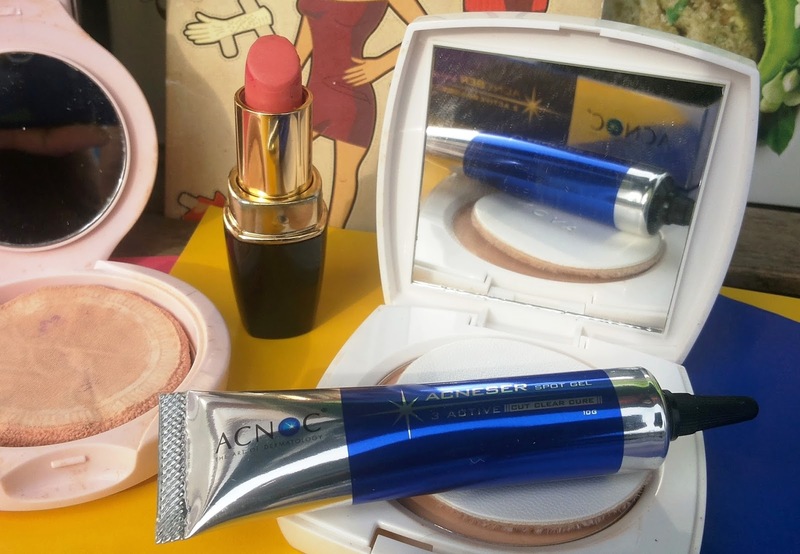 It is not greasy nor oily and it dries fast, surely won't clog in pores. It does not contain ingredients that can irritate the skin or the eyes. It perfectly works for me because it can treat acne in just 24 hours and prevent the occurrence of it. I usually apply it at night after cleaning my face with warm water and facial wash. Upon waking up in the morning, I already can see its effect because it makes acne smaller. Then after taking a bath I apply it again for faster results and with continued use it makes them all disappear. It has no sting too and so easy to apply. Acneser Spot Gel is a product of ACNOC from Thailand. It uses the latest technology of the most effective natural ingredient to give maximum results to acned skin. It is specially formulated with skin nutrients from pure and concentrated Mangosteen peel extract plus super-active Quercetin extract from Japanese Onion Peel from Awaji Island which effectively enhances acne treatment. What it does? CUT - CLEAR - CURE! It cuts comedones - the small bumps on the skin formed by the blockage of skin pore. With the effect of natural ingredients, it helps reduce comedonal acne effectively. It clears bacteria. Using Japanese onion peel extract, it eliminates bacteria and clears skin naturally. It cures black spot. Empowered with mangosteen peel extract, it can totally remove dark scars caused by acne. 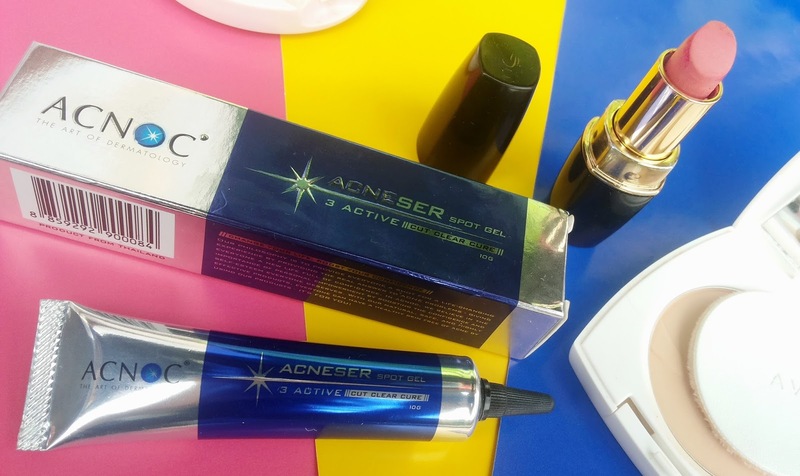 Acneser Spot Gel is very effective in unclogging the pores and destoying the bacteria that causes acne. Furthermore, it removes the dead skin cells away leaving cleaner, clearer, healthier skin. It may even tighten the pores so the skin looks glowing and youthful. It is being sold by Derminnovations via Lazada for Php600.00 per tube of 10g.